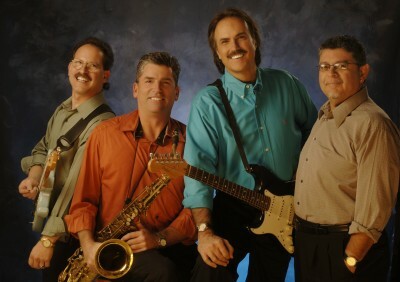 Corporate event entertainment is a specialty of the Joe Sharino Band. Our high energy shows and great variety of music are a hit at corporate events all over the U.S.
"It was obvious by walking through the crowd and the beergarden that everyone was having a great time during your performance. Thanks for putting on a great show and maintaining a great energy into the evening! Everyone was very pleased!" 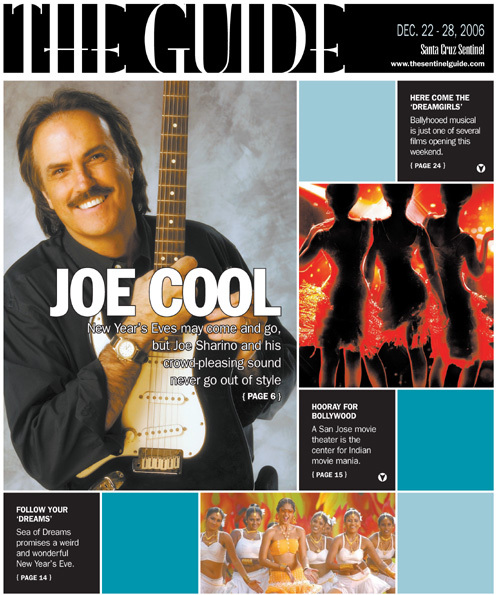 "The Joe Sharino Band is always a hit! Joe's talent and experience really show -- depending upon the group, he can pick the mix that will get people on the dance floor and keep them dancing. He really knows how to pace the show and keep things rolling." "What a pleasure it was to work with you. Really enjoyed your music, stage presence and your singing was awesome! Here are my comments: The Joe Sharino Band played a wide variety of music that appealed to all age groups. They have a keen sense of song selection and order of music, being able to read the audience and play to the energy of the crowd...the dance floor was full all night long! Joe and his band are very professional, easy going and always smiling. The compliments flowed with appreciation all night long. The band ended the party on a high note, leaving the audience wanting more and more. I hope to work with you many times over. Perfection!" "I think your band is more than fantastic! Thank you and the members of the band for an outstanding performance on July 27th. It was more than obvious that everyone was having an incredible time dancing to your music. The energy and excitement from the entire band definitely moved through the crowd. I appreciated your patience as the timeline seemed to change throughout the evening as speeches went long. I'll look forward to working with you and your band in the future as it was such a treat to hear you perform! I couldn't stop tapping my feet throughout the evening. As a matter of fact, please call me because I wanted to check your availability for a date next year! I am confident my clients will just love the band! Thank you again! "I love working with you and your band! You never cease to amaze me. Your professionalism and cooperation throughout the planning process are appreciated more than you will ever know. The phenomenal celebrations you've created for each of my clients, regardless of age, ethnicity or musical requests have been nothing short of astounding. Your music suits all genres...and everyone finds themselves tapping their feet and heading for the dance floor. When the "Joe Sharino Band" is in the house, it's going to be a party! You and your crew are the consummate professionals, always flexible, punctual, and willing to "go the extra mile". Your repertoire knows no bounds, appealing to all ages and ethnic origins and your energy and enthusiasm permeate through the crowd. I hope we have more frequent opportunities to work together in the near future." Here are some of our Corporate clients, and below these logos, their comments about the Joe Sharino Band. "You've got a great band and an incredible sound!" "For the seventh year in a row, you were marvelous! The compliments keep pouring in." "Thanks for making this year's Christmas Party the best ever. who's approached me has requested a repeat performance next year." "Thank you so much for an outstanding performance! I received rave reviews about the band. If you ever have a corporate client looking for a reference, please do not hesitate to pass my name along. Great job." Diane Braga, Cisco, who hired the Joe Sharino Band to perform at an event in Boston in 2009.
always filled with energy and smiles... It always makes for a fun evening! working with you in the years to come." "Everyone wanted me to call you to see if you were available. Wow! What a great time we had at the party on 1/19! Basically you made the party! If it weren't for you and the band it would not have been such a huge success!" people rocking, dancing and singing along like you do! I will be in touch about our July event, too." the table playing his sax was a show stopper!" and clapping. You guys are the best anywhere!!" "We really enjoyed your performance at Tony's retirement dinner party. Your band was enthusiastic and entertaining as ever. Thank you for putting together a special song for Tony; I know everyone loved it! It was great working with you." "Young, old and everyone in between loved you and the band! Your incredible variety, energy and showmanship gave us just what we were looking for!" "You were even better than your video! The rave reviews haven't stopped yet. You guys have more energy than bands we've hired with 3 times as many members!"